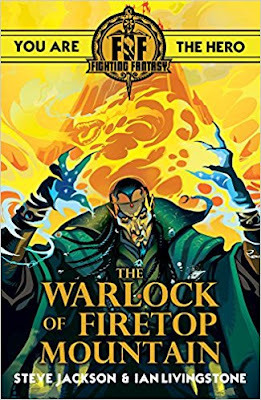 The brand new edition of The Warlock of Firetop Mountain, the original gamebook by Steve Jackson and Ian Livingstone that kicked off the whole Fighting Fantasy series, is re-released tomorrow for a new generation of readers and gamers. As well as the adventures themselves - with their terrifying monsters, cunning tricks, and lethal traps for the unwary - the Fighting Fantasy books are famed for their fantastic, not to say fantastical, illustrations. So to mark 35th anniversary of the original publication of the book as well as the relaunch of the series, here at www.fightingfantasy.com we are running a competition for all you budding FF artists out there. 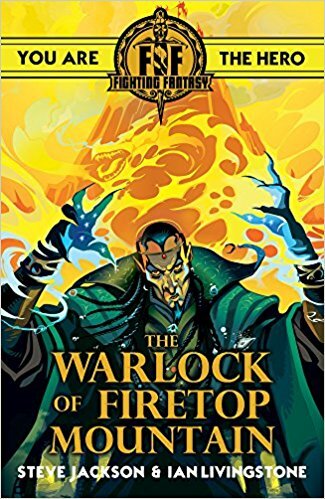 What we would like you to do is re-imagine one of the classic monsters that appears within the pages of The Warlock of Firetop Mountain. Will it be the Minotaur, the Dragon, or the Iron Cyclops that you re-design? Perhaps it will be the Vampire, the Sandworm, or the Giant Spider. Any creature is fair game, as long as it is encountered somewhere within The Warlock of Firetop Mountain. You can draw it in pencil or pen, as the original illustrations were produced, or you can paint it, or produce the image digitally. However, your picture must be submitted in the form of a .jpeg via email to mail@fightingfantasy.com by Friday 15th September, and the winners of the competition will be notified by Saturday 30th September*. 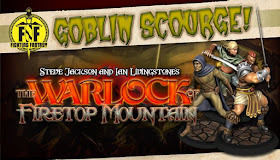 Every winning entry will receive a Steam key to download a free copy of The Warlock of Firetop Mountain, courtesy of Tin Man Games, who have recently released the first DLC for the game - Goblin Scourge! So don't delay - get drawing today! Copyright in the image remains with you (although any characters, locations or logos from the Fighting Fantasy series remain the copyright of Steve Jackson and Ian Livingstone), but www.fightingfantasy.com reserves the right to reproduce the image however we like and how often. There will be no fee paid and you give us permission for www.fightingfantasy.com to use your image regardless of whether you win the competition or not. No correspondence will be entered into regarding any entries and if you have not heard from us by Saturday 30th September then you must assume your entry is not among the winners.